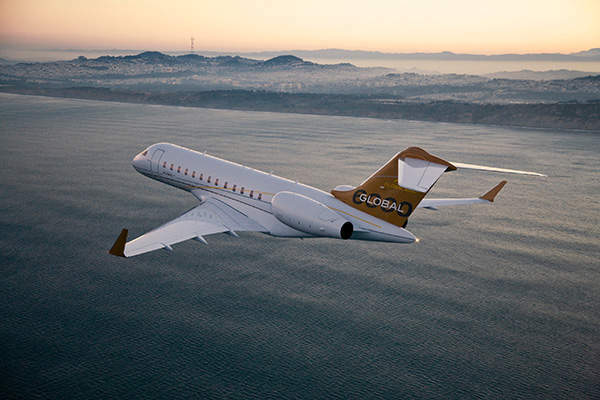 Global 6000 is the most luxurious business jet aircraft built by Bombardier. The first Global 6000 aircraft was delivered to Wideworld Services. Global 6000 entered into service in 2012. 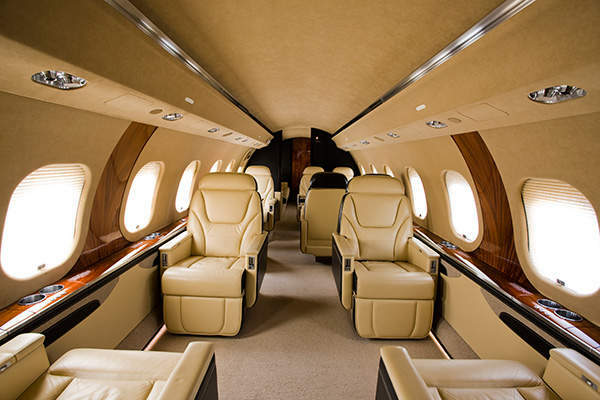 The spacious cabin of the Global 6000 can accommodate eight to 19 passengers. 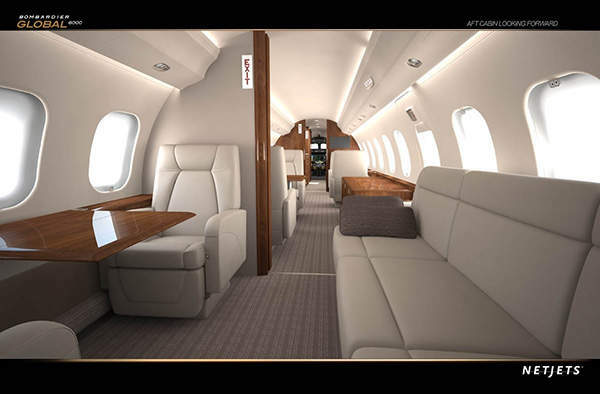 Global 6000 features a luxurious cabin with spacious seating arrangements. 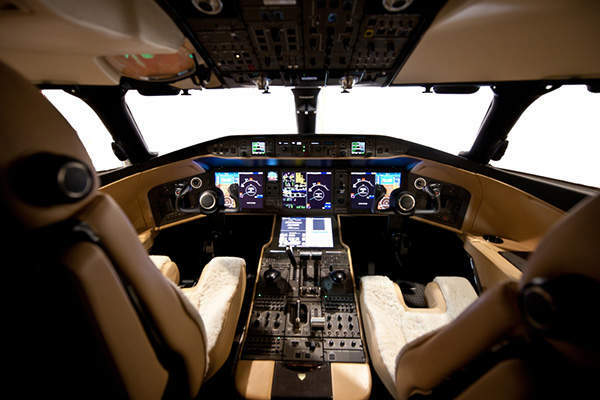 Cockpit avionics of the Global 6000 business jet. 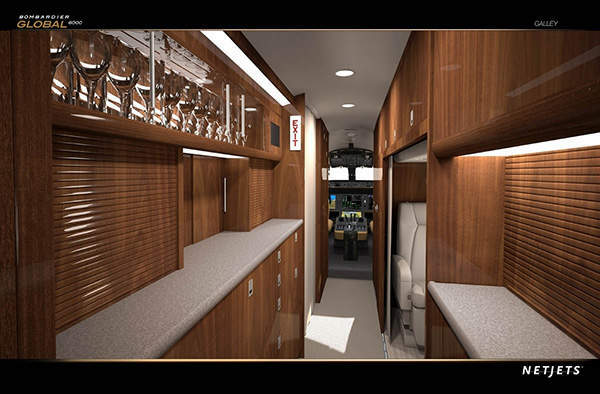 The galley area in the NetJets Global 6000. The spacious seating in Global 6000 being produced for NetJets. 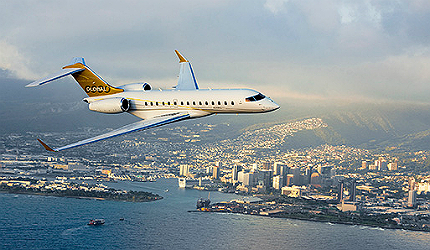 Bombardier Global 6000 is the most luxurious business jet built by Bombardier Aerospace. The aircraft entered service in the first half of 2012. 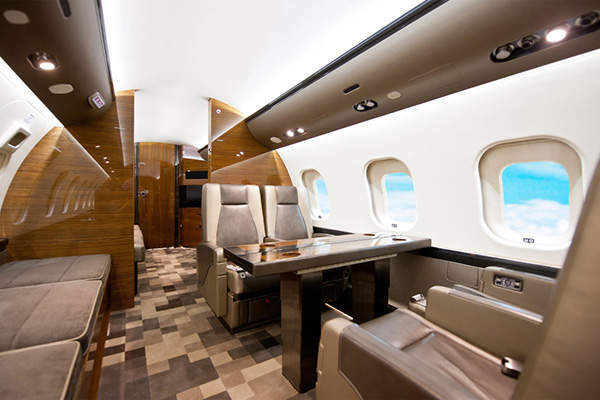 "In March 2011 NetJets placed an order worth $2.8bn for 120 Global business jets, which includes 30 Global 6000 jets." The aircraft received Transport Canada (TC) certification for its flight deck in June 2011. It received airworthiness certifications from the European Aviation Safety Agency (EASA), FAA (Federal Aviation Administration) and European Joint Aviation Authority (JAA) by February 2012. It also received certifications in Australia and many other countries. In August 2011, ViaSat was awarded a contract to provide airborne communications terminal equipment for the high-speed internet package in the Global 6000. The equipment includes a Ku-band communication system and EMS router equipment. "The equipment includes a Ku-band communication system and EMS router equipment." In March 2011 NetJets placed an order worth $2.8bn for 120 Global business jets, which includes 30 Global 6000 jets. The aircraft is configured to provide seating to 13 passengers. NetJets received the first Global 6000 aircraft in November 2012. Delivery of remaining aircraft is expected to be completed by the end of 2012. In March 2012, the first Global 6000 aircraft was delivered to Wideworld Services. It was the first aircraft fitted with a Vision Flight Deck. 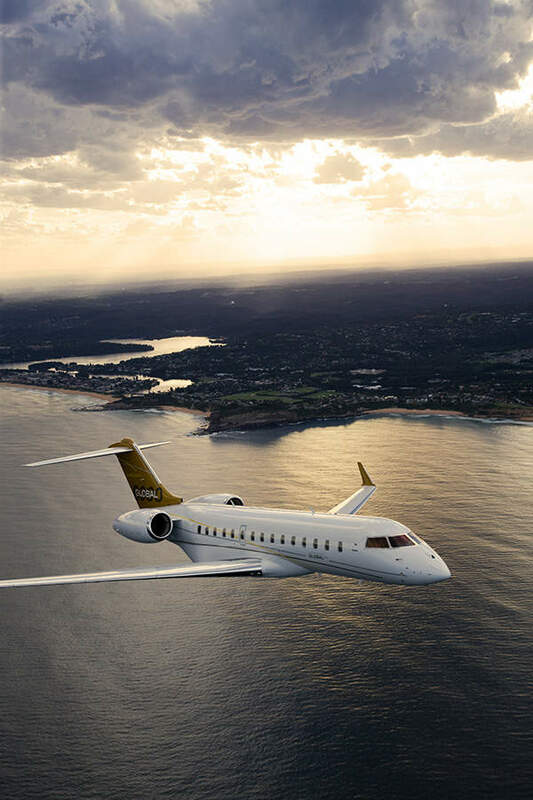 AVWest, an Australian jet operator, placed an order worth $292.5m, in March 2012, for the delivery of five Global 6000 aircraft. In June 2012, Bombardier received an order for delivering three Global 6000 jets along with five Global 800 jets to an undisclosed customer. The order is worth $507m in total. In November 2012, VistaJet placed an order worth $7.8bn, which includes the delivery of 25 Global 6000 jets. Deliveries are expected to begin in 2014. 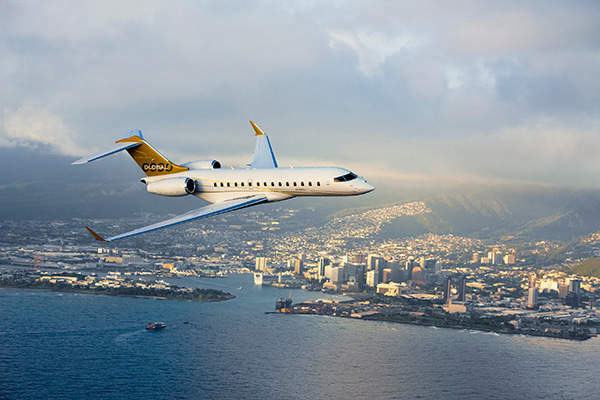 Global 6000 is an improved version which replaced the Global Express XRS and Global 5000 aircraft of Bombardier. The length of the Global 6000 aircraft is 30.3m, overall height is 7.8m and wingspan is 28.7m. The Bombardier Global 5000 is a super large business jet. The aircraft features a spacious cabin, extended cockpit and sophisticated communication equipment. Its wing is designed for speed and to reduce the effect of turbulence. Global 6000 is fitted with a vision flight deck which is designed for a completely new cockpit experience. The cockpit is fitted with Rockwell Collins pro line fusion avionics suite, which features four 15.1-inch liquid crystal display (LCD) screens, third generation enhanced vision system (EVS), head-up display system (HUD) and synthetic vision system (SVS). The aircraft features onboard maintenance system (OMS), a superior diagnostic and troubleshooting tool. It also features an integrated cursor control panel, a synthetic-enhanced vision system and paperless operation enabled by dual electronics charts. It is integrated with a future air navigation system (FANS), controller-pilot datalink communication (CPDLC), wide area augmentation system (WAAS), localiser performance with vertical guidance (LPV) and a MultiScan weather detection system. The aircraft features a large cabin, which is 14.7m in length and 2.49m in width with a floor area of 31.1 square metres and volume of 60.6 cubic metres. The spacious and comfortable cabin can accommodate eight to 19 passengers and two to four crew members. It is fitted with ethernet-based cabin management system which functions through an on-board local area network (LAN) and wireless LAN. The aircraft is powered by Rolls-Royce Deutschland BR710A2-20 turbofan engines which provide 65.6kN of thrust at take-off. The aircraft flies at altitudes up to 51,000ft. It has a range of 6,000 nautical miles at a speed of Mach 0.85. It can fly at a maximum cruise speed of 950km/h and has an average speed of 907km/h. Its maximum take-off weight is 45,246kg and maximum landing weight is 35,652kg. The take-off and landing distances are 6,476ft and 2,670ft respectively. The maximum payload that can be carried is 3,770lb (1,710kg) and the maximum fuel payload is 2,470lb (1,120kg).